The Hydrobar “S” is a microprocessor based submersible level transmitter for top mounting, with a local display and easy adjustment by three push buttons. Besides the level, the display can also indicate the process temperature. A tank linearisation and a 4-20 mA current simulation can be done. The Hydrobar „S“ is available with HART Protocol and can be adjusted locally and by HHT or PC with special Klay software. Mounting can be done by wall mounting bracket, Flange or a threaded Connection G1½“or G2“). 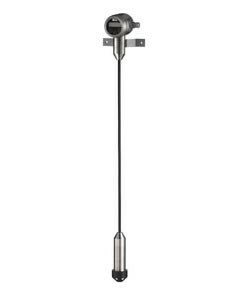 The 2000-Hydrobar submersible level transmitters can be used in fluids, like: water, waste water, pulp, mud, chemicals etc.